Perhaps it’s something to do with reaching the final year of the first 20 in this new millennium (coincidentally 19, in numerology, is considered the number for new chapters) or how our thoughts were provoked by the Design Museum’s Home of the Future exhibition. Or indeed, the discussion of the possible end of art following on from the shredding of Banksy’s Girl With Balloon at Sotheby’s last year. Looking back at how creatives predicted the future is giving us some great inspiration to start a new year on, and we’re also loving the questions it asks of reality today, and the years to come. 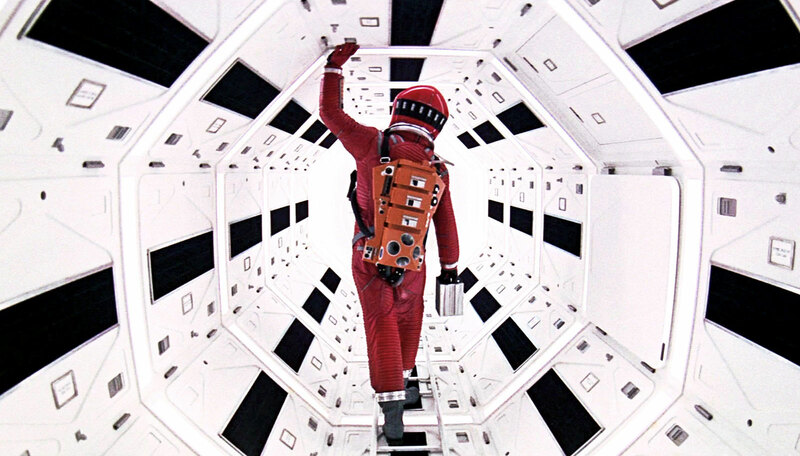 Think of artists with a knack for the prescient and your mind would probably leap to works by Andy Warhol, Yayoi Kusama, JG Ballard, David Bowie, and of course, the film 2001: A Space Odyssey. On until 24th March, the Design Museum’s Home Futures exhibition looks at how designers in the past envisaged our homes in the modern day. Are we living in the way that pioneering architects and designers throughout the 20th century predicted, or has our idea of home so far resisted change? 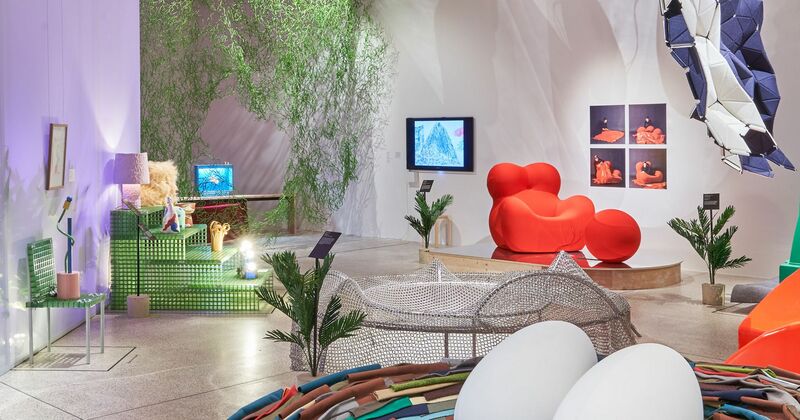 “In the face of all the technological, economic and societal changes of the last few decades, our concept and notion of what home is, is changing quite drastically,” said curator Eszter Steierhoffer. In comparing how past generations imagined we might live in the future, to today’s reality, we can’t help but wonder about what’s to come, either! Also rolling out this year is HARTH, thought to be the first subscription-based platform for furniture, where customers pay to borrow one-off statement pieces, sculptures and artwork for any desired period of time, without being tied to it. According to HARTH, ownership is overrated – they ask “why buy, when you can rent?” truly a post-consumer tagline if ever we read one! Having launched in London last year, HARTH will be entering more cities in 2019. 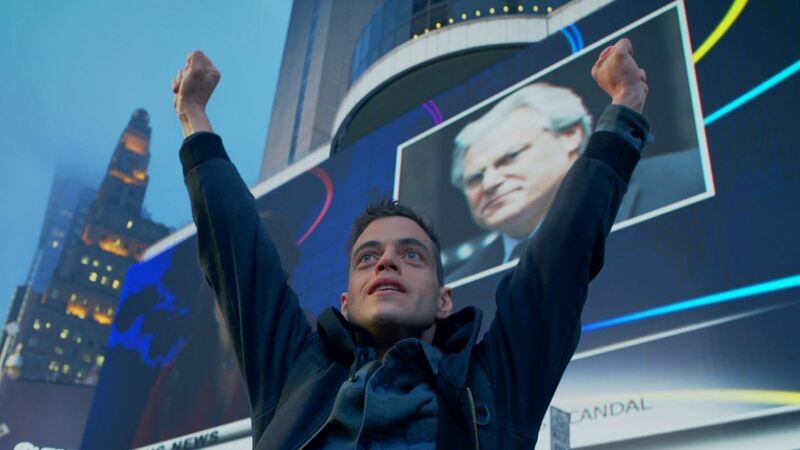 How far would you let your dependency on technology go? Our Designer Lizzie Adam pointed us in the direction of industrial designer Naomi Kizhner’s Matrix-esq Energy Addicts. This project looks at jewellery that harvests energy from different parts of your body, such as blinking or our blood flow. Created in 2014, the project has stayed with her all these years thanks to the question it brings up (that seems to become more appropriate each year) of how far we would go to support our technology. Pattern Recognition predicts anonymous artists, meme culture, cool hunters, the dark web, influencers, the changing landscape of advertising and branding and the rise of YouTube (as well as the logo aversion also dealt with in 2015’s Mr Robot) and it’s our Bookkeeper Sarah-Jane Leslie’s favourite book. All published in 2003, two years before YouTube was founded, and ten years before Richard Dawkins, the man that coined the meme term in 1976, updated his definition for internet memes in 2013. Donna Tartt’s third novel, The Goldfinch, may have been published in 2013, but Tartt was in fact working on it pre-2001. BEAR Marketing Director Ava Szajna-Hopgood finds it fascinating for the fact that as much as the initial disaster in the The Goldfinch places the book itself in post-9/11 New York, Tartt’s book manages to predict actual occurrences in the present, and not just overarching trends. In 2000 Islamic fundamentalists destroyed the monumental sixth-century Buddhist carvings at Bamiyan in Afghanistan. “That was the pre-shock before 9/11. And it was really, really disturbing to me,” Tartt told the Telegraph at the time, adding that it gave her the idea of writing something about terrorism and the destruction of art. 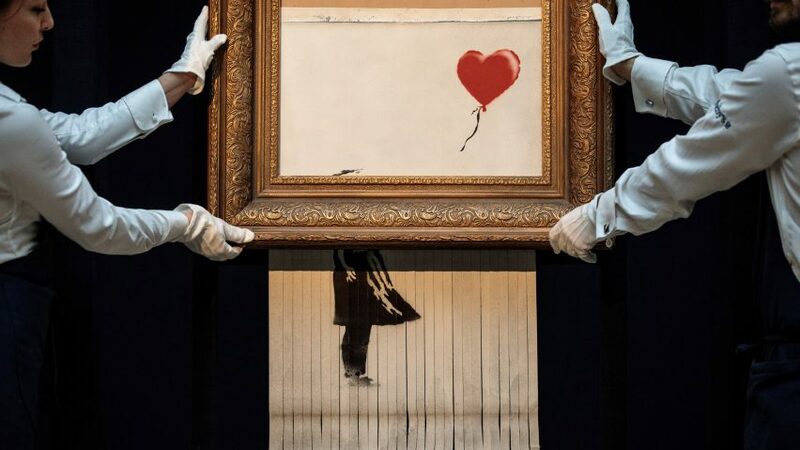 Our minds were jolted back to the interplay between priceless and valuable works of art after Banksy’s self-destructing stunt-or-not-a-stunt at Sotheby’s in 2018 which reportedly led to the artwork increasing in value (and if you’re quick, you can catch the painting on display from 5th February to 3rd March at the Museum Frieder Burda in Baden-Baden, Germany). And of course – looking backwards in this way means we can’t help but think about what’s to come, too. What will art and design be like in 100 years time? How will we consume design? 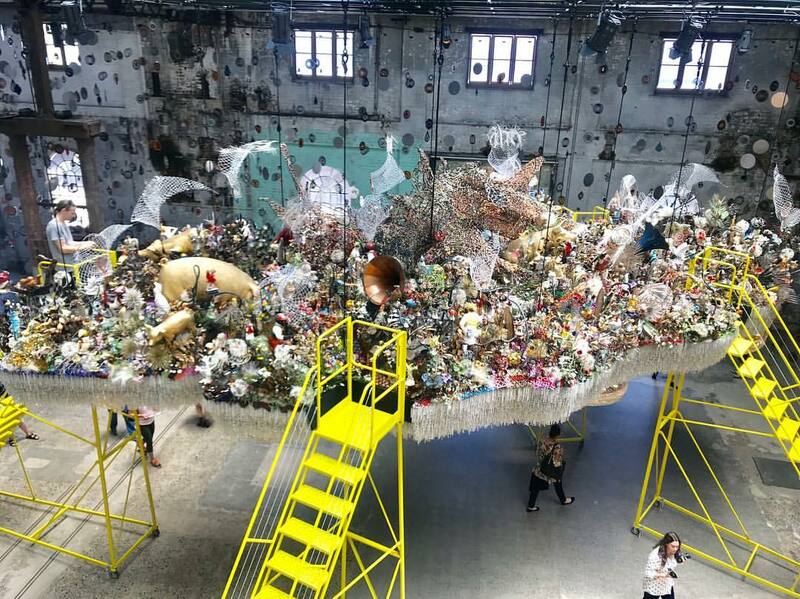 We’re loving this article by Momus, which asked 16 contemporary artists how they envision people taking in art in 2100 and beyond. Whether your outlook is bleak or full of monorails and subterranean cities, as Momus says: “the future may be bright, it may be dire, but it remains to be shaped by ideas yet unthought”, and that – that chance to shape the future right now – we love. Looking to discuss your creative requirements? Check out our case studies and drop us a message on info@bearlondon.com to find out more about our services.